Monkeypox virus has tested negative in Lagos – FG – Royal Times of Nigeria. The Federal Ministry of Health has said the Monkeypox samples obtained from Lagos State tested negative. 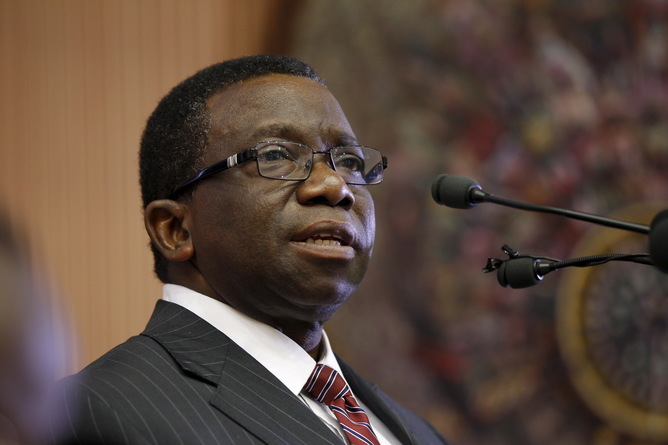 Minister of Health, Prof. Isaac Adewole, said this during a press conference in Abuja on Monday. It could be recalled that no fewer than 11 people have been placed under surveillance in Bayelsa, following a suspected outbreak of Monkeypox and the Federal Government had warned Nigerians against eating dead animals and monkeys. The hospital in Bayelsa state later discharged two of the victims. The virus was later confirmed in seven states. Adewole said, “As of October 13, 2017, there were 17 suspected cases reported from Yenagoa LGA in Bayelsa State. “We have received laboratory confirmation for Monkeypox virus from three of these cases from the WHO Regional Laboratory in Dakar, Senegal. Samples from 12 other cases from Bayelsa were negative. “With these results, four suspected Monkeypox outbreak in Yenagoa have been confirmed with laboratory evidence. The most likely source of infection is a primary zoonotic transmission, from an animal, with secondary person-to-person transmission. “Since our initial announcement, a total of 43 other suspected cases have been reported from eight other States (Akwa Ibom, Cross River, Ekiti, Lagos, Enugu, Nasarawa, Rivers, and FCT). Of these, four cases from Lagos have also been tested and confirmed to be negative for the Monkeypox virus. “We expect that many of these cases being reported from other states in Nigeria are not caused by the Monkeypox virus, but we will continue to investigate all those cases that fit the case definition.